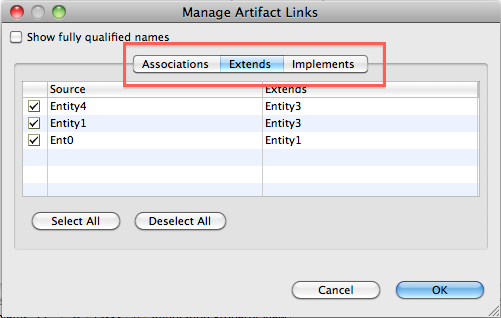 This dialog can be accessed by right clicking on your class diagram and selecting 'Manage Artifact Links...'. From here users can view all relationship types including associations, implementations, dependencies, extensions, and association classes. Relationships are organized into three different tabs and the lists can be sorted by clicking on the columns. Users can also show/hide any of the relationships on diagram. A red squiggly line is drawn underneath any typos in the description field of TS editors. 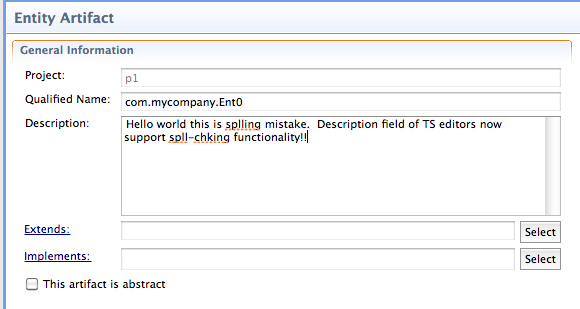 There were some typos in the Details field of TS editors which were resolved. 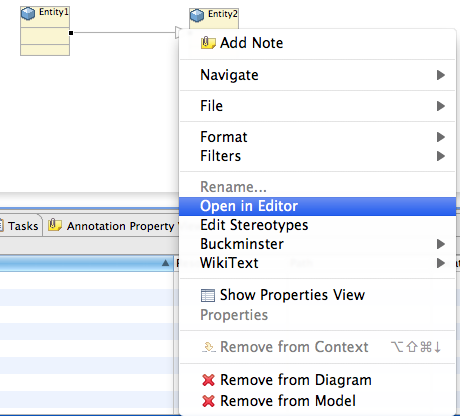 Invoking 'Open with editor' action on a Extends relationship now properly opens the artifact in its corresponding editor and the 'Remove from Diagram' action is properly enabled and operational. This was an intermittent issue where invoking the delete context menu action on a Tigerstripe project would not do anything. An error message was generated when adding an Extends relationship between an Association Class and an Entity. In some cases converting an Association Class to an Association would throw a null pointer exception. This defect resolved an issue where an error message was not properly displayed when a referenced constant in an Enumeration was removed. Some of the fields of an inherited method are modifiable. None of the inherited fields should be modifiable. Even though delete operation would work as expected, a null pointer exception was thrown, which is now resolved. Creating two artifacts of different types, but with the same name would cause issues in Tigerstripe. This was an issue where the package along with its content was removed when a subpackage was renamed. For certain projects there were issues caused with modifying the dependencies. This was an old issue with the Profile editor where state of checkboxes were not persisted properly. In certain cases the package icon used by Tigerstripe would revert back to JDT's package icon. This issue seems to be fixed now. 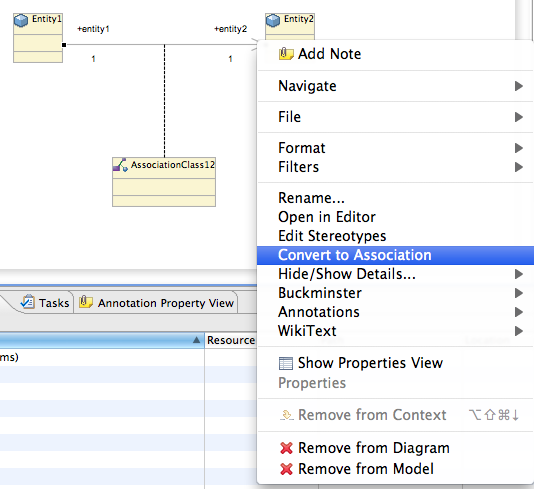 In certain cases adding children of an artifact to a class diagram would result in an exception. This extension point can be used to control the default value of 'Run All Rules as Local' option. If the extension point is not specified, the default value is to turn it off. You can read more about the extension point here. Bugzilla 253900 - Audit is double checking ends! This page was last modified 10:02, 8 June 2011 by Navid Mehregani.